While media will most likely focus on the historical importance of something that occurred 50 years ago today (Friday, Nov 22, 1963) in Dallas TX, not very far from where I sit, and I don't want to lessen the importance and the impact of what that event meant. and probably not as many watched the next day as a Sci-fi phenomenon was born, but it was the very next day that the BBC aired the first episode of Doctor Who. In honor of that day, and that far happier momentous occasion, I will run down some of my favorite stories for each of the actors that have taken on this monumental role throughout the lesser known classic series. One last thought on the Kennedy assassination and its connection to Doctor Who, because of the shock that many people felt, even in the UK, the Doctor's debut went almost unwatched, but the BBC reran the show a week later to make up for the lack of notice, and thankfully the Doctor would become a cultural phenomenon that continues to this day, 50 years later. It is amazing, to me at least, that although Hartnell is the oldest actor thus far to have tackled the role (though Peter Capaldi who takes over this Christmas is the same age as Hartnell was when he assumed the role), he is the youngest age that we have ever seen the Doctor, and in many ways, he plays the part of the youngest version of our Doctor. He has a childlike temperament, believes himself to be smarter than anyone else (and, okay, he usually is), and often throws temper-tantrums that are quite like a child's. My favorite story from his reign is without a doubt The Daleks, which is the second story ever. The Doctor, his granddaughter, and the first human companions (who at this point where actually kidnap victims, since interestingly enough, the Doctor wasn't the clear cut hero at the beginning that he is today) landed on the planet Skaro where they would meet the Doctor's longest running enemy (and an enemy that will feature prominently in the 50th Anniversary as they are the main adversary of the Time Lords in the Great Time War). This is where the bonds of friendship really start to form between the Doctor and his human companions, and he learns a little lesson as well, considering that the trouble they find themselves in on Skaro with the Daleks is due to the Doctor lying in order to satisfy his curiosity. It is a fun story, the Daleks are as menacing as ever in their debut, and this is really the moment that the show becomes what it now regularly is. This story is also responsible for skyrocketing Doctor Who towards popularity, when prior to this story, there was no guarantee that the show would last much past it. It also gave us one of the most iconic images in the history of the show. This was the first appearance of a Dalek and quite an amazing cliff hanger. I can't imagine having to wait another week after this moment! Poor Barbara! 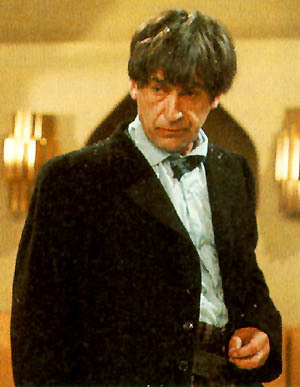 Patrick Troughton is probably my favorite Doctor. He is also the Doctor that has been hit the hardest by the Missing Episodes. However, recently a couple of his stories have been brought back to life! Enemy of the World is one of those, and its a great surprise how good that episode is! Before its return, there was, of course, some interest in the episode since Troughton plays both the Doctor and the villain of the piece. But most people didn't consider it to be a great story. There are audios from all of the missing episodes, and due to the fact that directors had photographers take pictures on set of the episodes they directed for their reels (since actual film reels were too cost prohibitive at the time) there are reconstructions with photos and the audio of the episode. However, there is nothing like actually watching the episode and seeing the expressions on an actor's face. When we once again had that opportunity for the first time in over 45 years with this episode, many people's estimation of this episode, mine own included, changed. Troughton's performances are beyond fantastic. After watching it became my favorite story from my favorite Doctor. The Third Doctor introduced some of the most iconic characters/villians of Doctor Who: the Master, Sarah Jane, Autons, and the Silurians. UNIT and the Brigadier became main characters as the Doctor became for a time stuck on earth as punishment for his meddling in time. 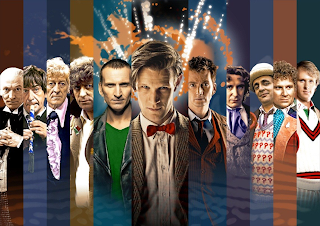 This is also when Doctor Who became a colour program! There are many amazing episodes in the Third Doctor's era (which of course can be said for almost all of the Doctors...), but to choose just one, I think I'll go with the first, Spearhead from Space. This was a great story to start a new era of Doctor Who. The longest running, and arguably still most popular Doctor, obviously has many great stories to choose from. Since I'm partial to Sarah Jane, I'm going to pick a story from her time in the TARDIS. Genesis of the Daleks, a story from Baker's first season as the titular Time Lord, has the Doctor's people send him back to the beginning of the Dalek race in order to destroy them before they become the menace they become to the universe. Along with Sarah Jane and Harry Sullivan, the Doctor faces his mortal enemies and meets their creator Davros (who would be in every Dalek story the rest of the way in the classic series), and ultimately has to make a decision on rather or not it would be morally right to destroy the Daleks before they begin. Considering the Time War storyline of NuWho, this is a must watch story for fans of the show. 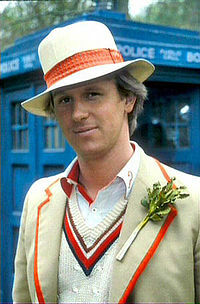 Fun fact about the Fifth Doctor. His real life daughter is none other than Georgia Moffett, who plays Jenny, the Doctor's genetically created daughter in the 4th season of New Who episode, The Doctor's Daughter. She really is the daughter of the Doctor! Georgia Moffett also would go on in real life to marry David Tennant, the 10th Doctor, so she's simultaneously the daughter of the Doctor and the wife of the Doctor! Time travel plays strange tricks on the mind. 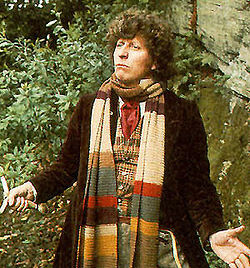 My favorite 5th Doctor story is probably the Arc of Infinity, which brings back my favorite Doctor Who villain, Omega. The Time Lord that helped invent Time Travel, Omega got trapped in an anti-matter dimension and occasionally attempts to escape. The last time that happened, the Time Lords sent three incarnations of the Doctor (the 1st, 2nd, and 3rd in the 10 year anniversary story The Three Doctors) to try and stop him. This time, there is only number 5! Will that be enough to keep Omega from escaping and possibly destroying the universe!? Well, you can probably guess that yes, the Doctor will win, but it is a fun episode nonetheless! Without question, my least favorite Doctor, but it isn't really his fault. The BBC was having some concerns with the program, and Colin Baker's time in the TARDIS shows it. One of the interesting stories from Colin Baker's time is the entire 23rd season, made up of four stories all under the umbrella of The Trial of a Time Lord, wherein the Time Lords put the Doctor on trial for his past and future crimes. Worth a watch, because even subpar Doctor Who is still better than most television shows! 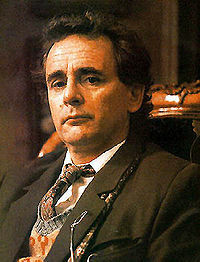 Now known as Radagast the Brown in The Hobbit trilogy, first, he was the Doctor. 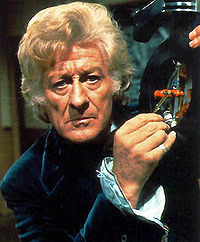 And a much darker Doctor than we had previously seen. In honor of the 50th anniversary, I will highlight the story that kicked off his second season, Remembrance of the Daleks. This story returned the Doctor to Trotter's Lane, where the whole show kicked off, and even to that fateful day, November 23, 1963. It references much of the beginning of Doctor Who as well as an artifact that is named after that awesome villain, Omega. 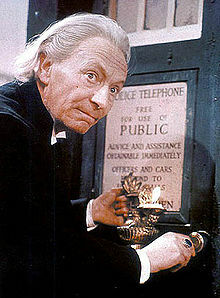 Unfortunately, Doctor Who would end after his 3rd season as the madman with a blue box. But before it did, McCoy made quite an impression on the fans, and would continue to feature in stories told during the dark years without any Who, making sure that the Time Lord was never far from the consciousness of the people. This fact would mean that one day, The Doctor would return. The Doctor Who Television Movie marked that return, although it would be another nine years before the Doctor would make his complete return to our television sets. The movie isn't great, but it is still extremely watchable, and there are clear moments in the movie that set up what has become the basis of the new show. In the movie, the Doctor kisses a companion for the first time. The Doctor has kissed every companion since. Paul McGann doesn't get much time on screen with the role, but he absolutely nails the character in the time he does get. 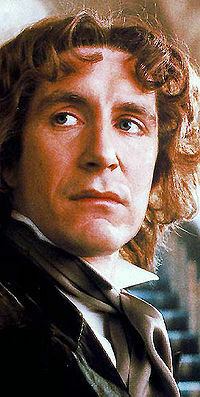 It is worth watching for McGann's outstanding portrayal of the Doctor if for nothing else. So, as we get ready for the 50th Anniversary special, do your self a favor and check out some of the Doctor's rich and exciting past. Until Next Time, Reverse the Polarity of the Neutron Flow!